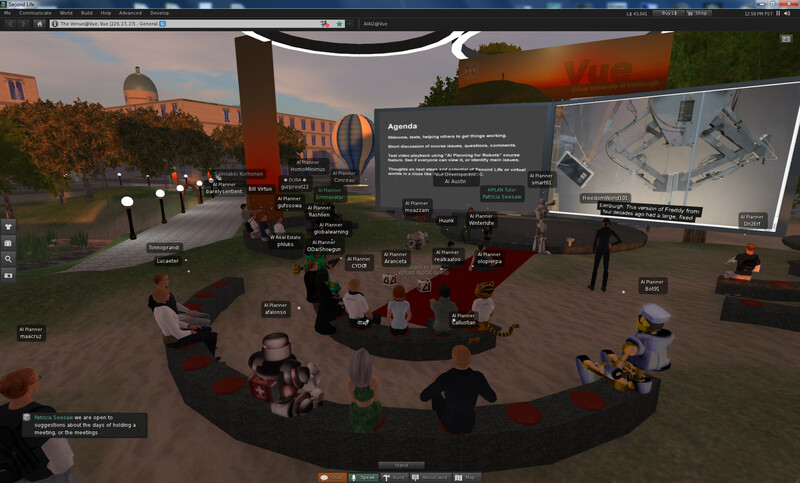 The first meeting of the AI Planning MOOC group took place in Second Life on Wednesday 15th January 2014 at 8pm UT/GMT. 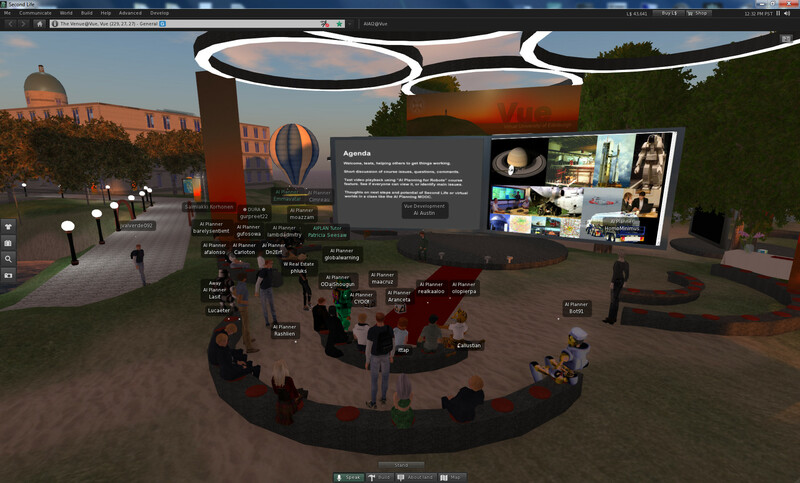 Around 30 participants turned up to sort out their virtual world viewer setup, enable voice and media playback. 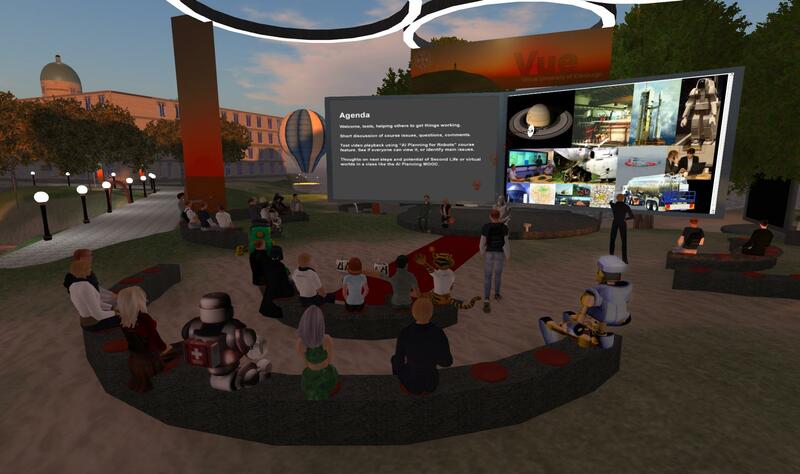 A test playback of the AI planning for Robots MPEG-4 video took place on a Media on a Prim (MOAP) screen. 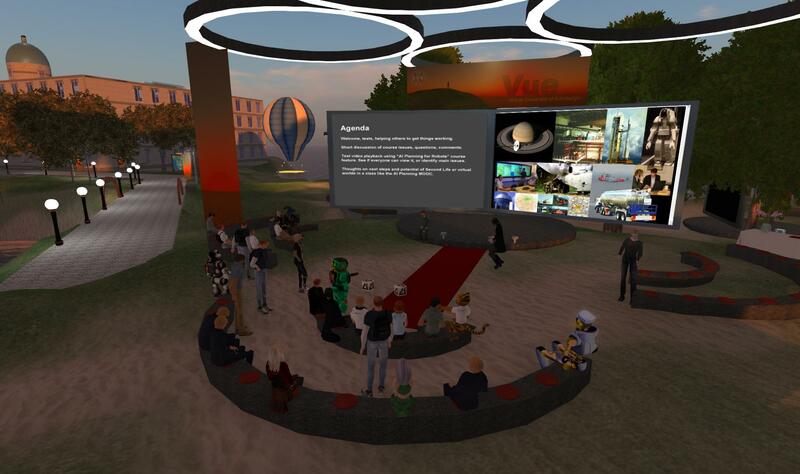 This entry was posted in MOOC, Second Life and tagged AIPLAN, MOOC, Second Life, Virtual World. Bookmark the permalink.